Ask about our Catered Cruises! Wine, cheese and dessert cruises...let your imagination make it special. Our tour boats are perfect for weddings, rehearsal dinners, corporate outings and more. Call for special group pricing and book your tour today. Ticket price includes: Food pairings with 5-7 tastings of wine, 2 full glasses of your favorite, and souvenir glass. Photo ID required to board vessel. Must be 21 years of age to sail on all Wine Cruises. Hop aboard the Patoka Voyager for a wine tasting like no other! Sample wines and hors d’oeuvres seated inside. Enjoy food pairings with 5-7 wine samples. Our cruises feature wines from a specified local Indiana winery! You also get 2 glasses of your favorite wine to enjoy at your seat or on one of the outdoor decks. Watch the sun set over Patoka Lake as you sip your wine. The perfect way to sample wines! Cruise the lake...enjoy the majestic autumn colors! 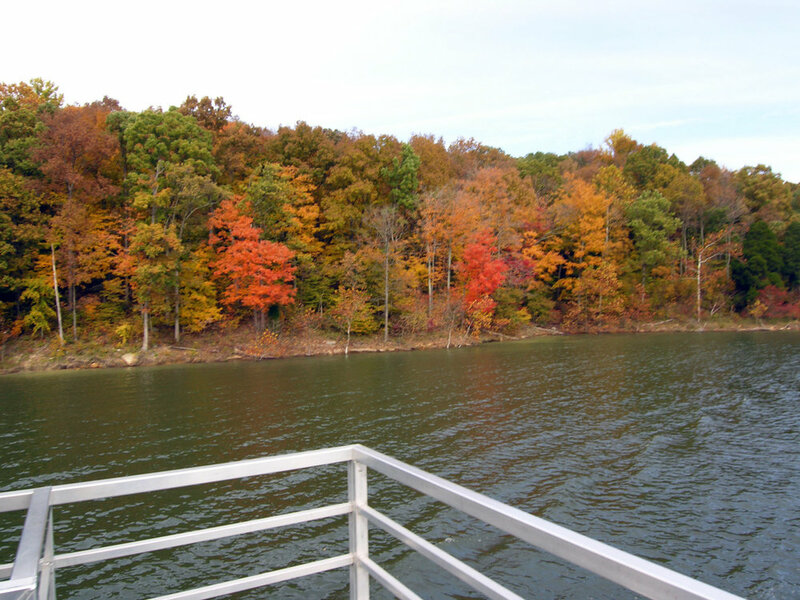 Come delight in the beautiful fall foliage at Patoka Lake from our custom 60' tour boat, Patoka Voyager. Sip wine paired with hors d'oeuvres/desserts. As the Indy Star says, "Lose yourself in a cruise on Patoka Lake". Remember the tour date you want - you will need to select it in the reservation system. Or, book your own tour at a special time for your group! Call (812) 685-2203 ext. 1001 or reserve online. Cruise the lake enjoying a wine tasting! Enjoy food pairings with 5-7 wine tastings. Enjoy the beautiful fall colors on the lake. 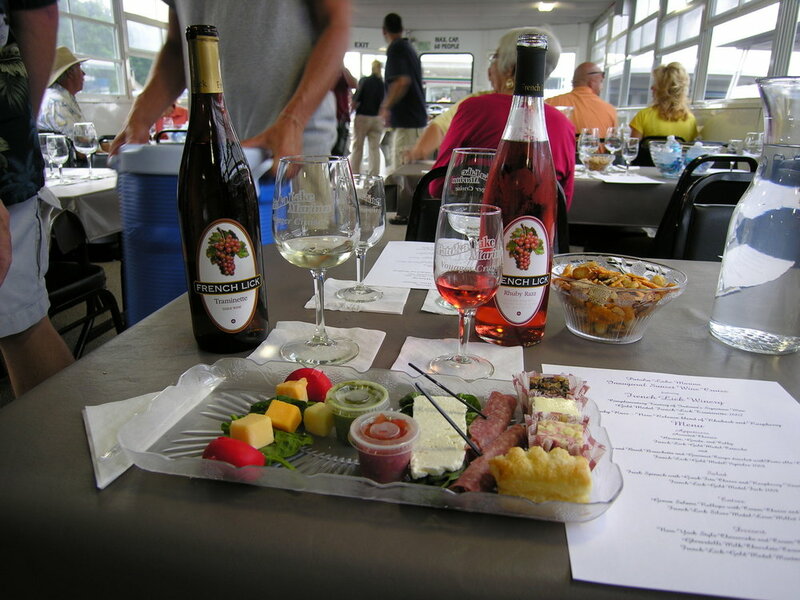 Each cruise features a different Indiana winery. You also get 2 glasses of your favorite wine to enjoy.